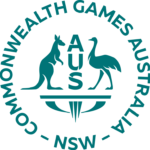 Commonwealth Games NSW is offering $1,000 grants to one female and one male athlete from each of the 19 sports and 7 para-sports on the 2022 Birmingham Commonwealth Games program. Conditions apply as stated below. The Division (formed in 1957) currently has 24 affiliated member sports. The CGNSW Athlete Grant, first awarded in 2016, provides financial assistance for young ‘up and coming’ NSW athletes. The program targets athletes that have not received significant funding from other peak bodies, eg AIS, NSWIS, NSWOC, state or national sporting bodies or via individual sponsorships. Nominations open 1st April each year of the program and close 30th April of the same year. Each sport and para-sport on the upcoming Commonwealth Games program is entitled and encouraged to submit 1 x female nomination and 1 x male nomination. Such nominations can only be submitted from organisations that are currently financial and affiliated with CGNSW. The CGNSW Athlete Grant program is sustainable and ongoing. The Division will award the grants every second year. The athlete shall be under the age of 20 on the closing date of nominations. The athlete should be chosen from amongst your sport’s high performance pathway programs. All nominees must be a resident of NSW. Nominees are preferably regionally-based, however sports may present a case otherwise. Each nomination must be endorsed by the SSO senior executive and President or Head Coach. The athlete must not have received significant funding from other peak bodies (inc NSWIS, NSW Olympic Council). No athlete may receive the CGNSW Athlete Grant more than once. Maximum athlete grant of $1,000 each for one female and one male per sport and para-sport per year of the program. Only affiliated sports that paid the annual CGNSW affiliation fee by the due date (31st March) and that are on the upcoming Commonwealth Games sports program are eligible. A sport that is gender-selective can only nominate for the same gender. The decision of the Division Executive to award any nomination is final and binding.